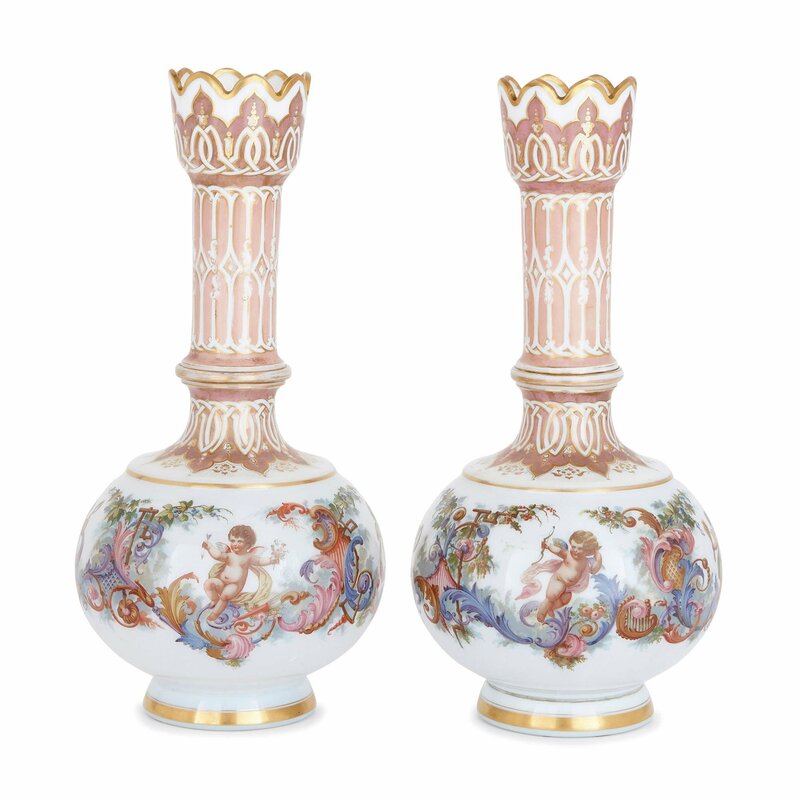 These exquisite glass vases are true masterpieces of Bohemian design, featuring beautiful parcel gilt and light pink designs, and delightful paintings of cherubs. Crafted from opaline glass, the vases feature bulbous bodies and tall cylindrical necks. 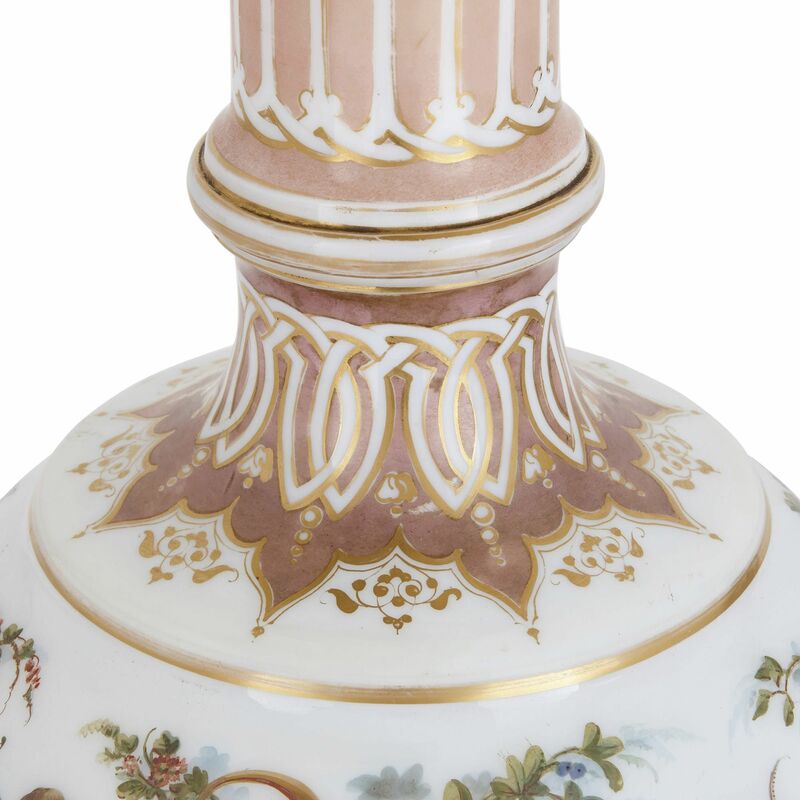 The vases’ necks are topped by slightly flared, scalloped gilt mouths. 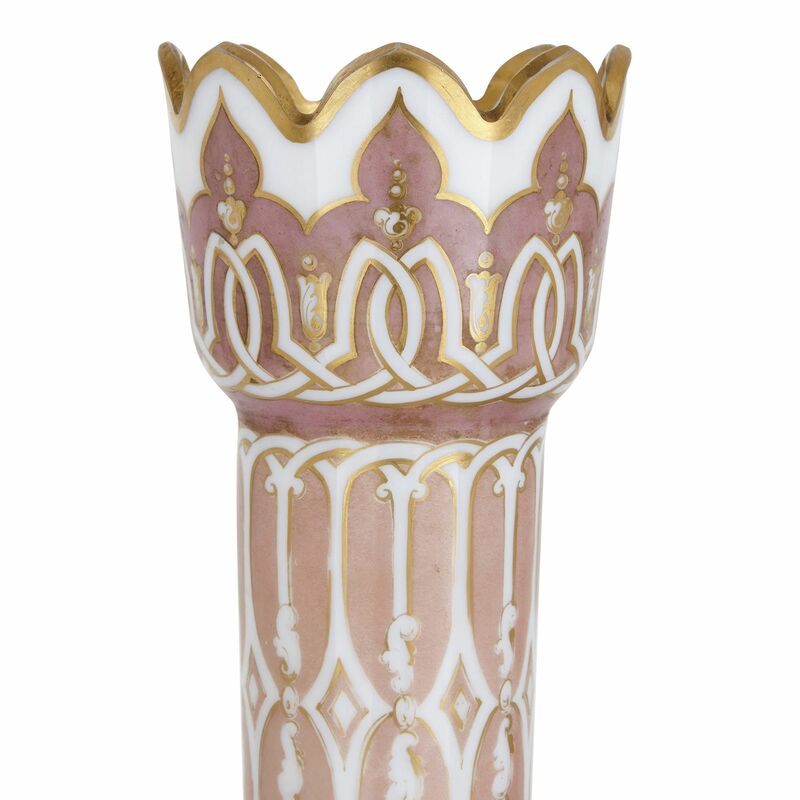 The necks have been delicatelypainted with light pink geometric patterns and parcel gilt. 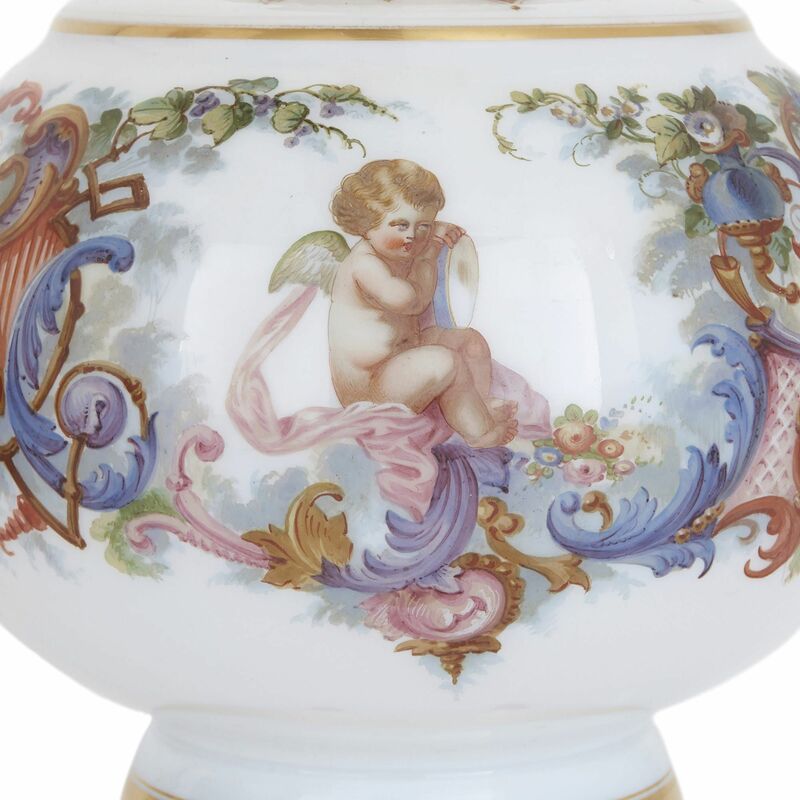 These spring from bulbous bodies, which feature intricate paintings of cherubs at play. The cherubs are depicted with bows and arrows, holding flower wreaths, musical instruments, scythes and sheaves of wheat. Stylised, light blue, pink and red acanthus leaves and cartouches, as well as fruiting green vines and flowers, decorate the space around the cherubs. 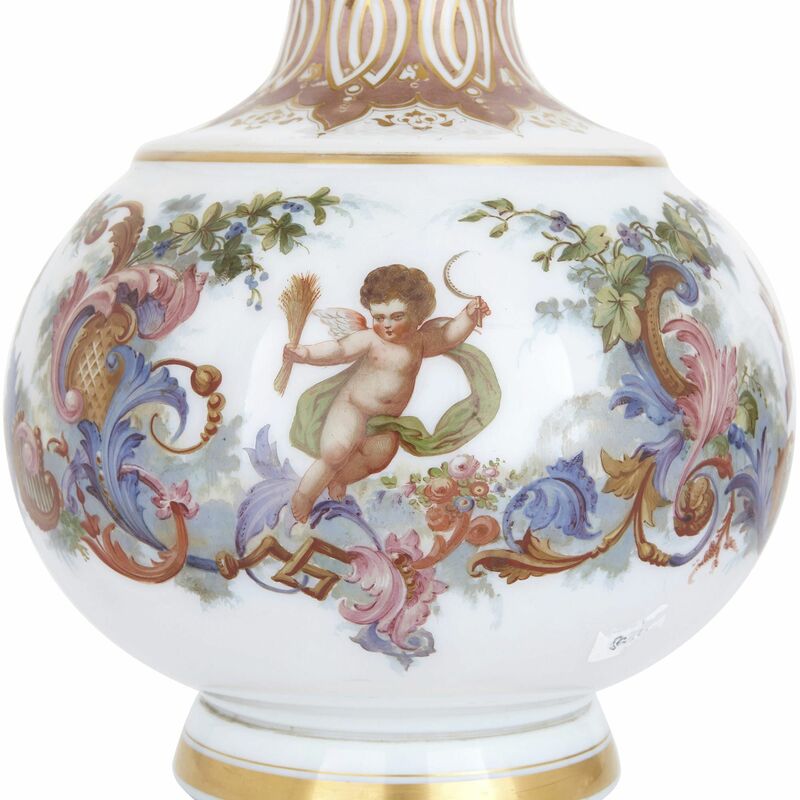 Each vase stands on a simple circular, parcel gilt foot. 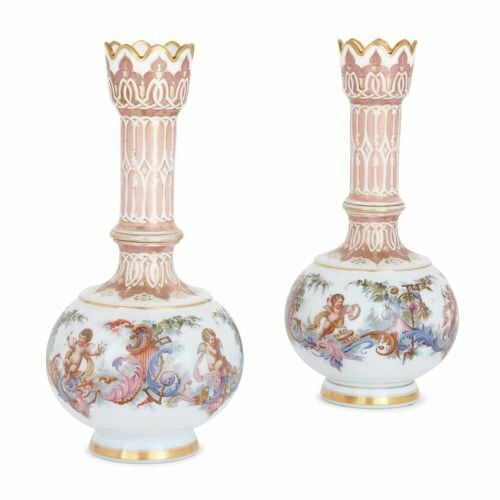 These Bohemian opaline glass vases will make charming additions to a well-furnished interior, either antique or contemporary in its style.